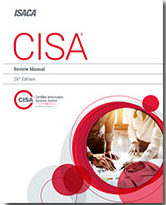 Join, the next CISA Review Course starting Saturday 8th December 2018. Why prepare for Exam with ISACA only? Security, IT Professionals, Compliance, Auditors, Software Architects / Developers, Server and Network Administrators. Contact below for clarifications / query related to course.